4/10/17 Is World Animal Day. Learn More – Read On. 4/10/17 is official World Animal Day. World Animal Day was originated by Heinrich Zimmermann, the German writer and publisher of the magazine Mensch und Hund/Man and Dog. He organized the first World Animal Day on 24 March 1925 at the Sport Palace in Berlin, Germany. Over 5,000 people attended this first event. The event was originally scheduled for 4 October, to align with the feast day of Saint Francis of Assisi, patron saint of ecology, however the venue was not available on that day. The event was moved to 4 October for the first time in 1929. Initially he found a following only in Germany, Austria, Switzerland and Czechoslovakia. Every year Zimmermann worked tirelessly on the promotion of World Animal Day. Finally, in May 1931 at a congress of the International Animal Protection Congress in Florence Italy, his proposal to make 4 October World Animal Day universal, was unanimously accepted and adopted as a resolution. 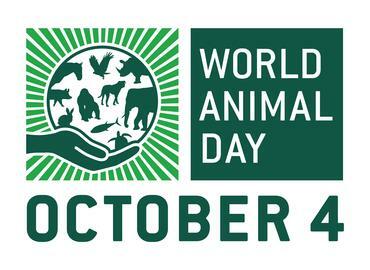 Every year, on the same day: the World Animal Day. In this day, like any other, millions of animals are slaughtered in slaughterhouses, laboratories, circuses, furry farms, in all the Dachau factories of the world, have fallen as victims to human overpower. We call this “the day of the animals”. For most, the World Animal Day is just a page on the edge of a newspaper. For some, few, is more of a sad day. I think of the thousands strays in Spain, Greece, Romania who are hanged, poisoned, burned on this day. I think of these animals who today die on a truck transport helpless and agonizingly. I think of the slotted labor animals, who leave their last breath today under the hands of career addicts and criminal sadists. Around us there prevails a fascist system of exploitation, destruction, and the killing of the animals, which can only be compared with that of the Third Reich. And thus the World Day of the Animals becomes a requiem for the victims of the legalized crime of human species. 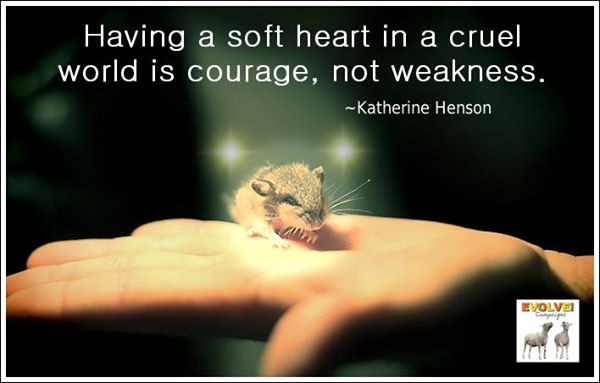 Every year again, the World Day of Animals. And so, on this day, I trust also to a society, which by the monopolization of freedom and the right to life on its own, has long since reached the moral bankruptcy of the human species.